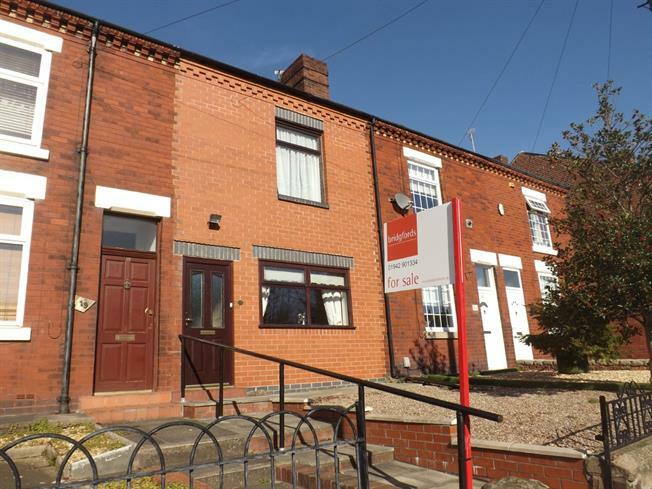 2 Bedroom Terraced House For Sale in Warrington for Offers Over £100,000. This deceptively spacious two bedroom house is situated on the ever popular Barn Lane in Golborne which is close to many local amenities and commuter links. To the ground floor the property comprises of a lounge, dining room, fitted kitchen and utility room. The first floor provides two good sized bedrooms and a three piece bathroom. Externally there is a garden to the front, rear yard with a shed and outside wc. Off road parking is provided via a car port to the rear of the property which leads to a private garden. Early viewing is highly advised in order to fully appreciate the opportunity on offer. Double glazed wood window facing the side overlooking the yard. Wooden back , opening onto the yard. Double glazed wood window facing the rear overlooking the yard. Radiator. Double glazed uPVC window with patterned glass facing the rear. Radiator. Standard WC, panelled bath, wash hand basin.